July 24, 2010. By Michelle Baltazar. July 2010. Brian Lorenz Babon and Albert Dimarucut dance their way to the VIII Gay Games in Cologne, Germany. Next month, Albert Dimarucut and Brian Lorenz Babon hope to be on a flight to Germany to compete in the eighth Gay Games. But to get their hands on a gold medal, they need all the help they can get from the community. MICHELLE BALTAZAR writes. It’s a Sunday afternoon and a couple of men walked into Sizzling Fillo, a Filipino restaurant a stone’s throw away from Lidcombe station in Sydney, for a very late lunch. 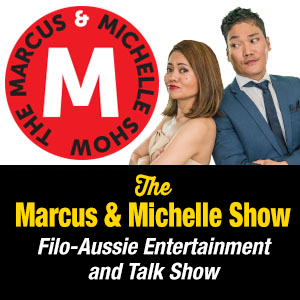 What they didn’t know was that they were just about to gatecrash an intimate party – a ‘send-off’ party if you like – for two Filipino-Australians who dare to dream big. Albert Dimarucut, a well-known Filipino dancer and choreographer, and Brian Lorenz Babon, a multi-talented artist who won a major singing competition, have set their eyes on going to the VIII Gay Games, Cologne 2010. It is the Olympic Games equivalent for elite athletes in the gay, lesbian, bisexual and transgender communities globally. Competing in the ‘dance’ sports category, Albert and Brian have to be at the eight-day event to be held from 31 July to 7 August. To be in the running, they had to be nominated by an association and were chosen by FLAGCOM and Friends (Filipino Lesbian and Gay Community). The catch is, they have to finance the trip themselves and, with less than a fortnight to go, are yet to secure company sponsors to help fund all their expenses. Brian Lorenz Babon strikes a pose. But as the saying goes, if there’s a will, there’s a way. One of their close friends, Armando ‘RC’ Reyes, hosted a despedida with the help of Sizzling Fillo’s owners (who gave the venue at no charge) and invited guests. The idea was that even if the community can’t give Albert and Brian all the financial support they need, they will get moral support for their ambitious venture. On last count, the Games have registered more than 17,000 participants, a few thousand of whom will be competing in their chosen category. Brian said they have wanted to be part of the Games for a long time now. “It’s held every four years and we thought, we should do it – this is the year,” he said. Not that their end goal is to get the gold. Asked what they would do to differentiate themselves from their rivals, Brian smiled and said they’ll just show their best and have a good time. “We’re just going to have fun,” he said. Judging by their passion and pedigree, there’s a good chance they might just make history and become the first gay Filipino-Australians to go to the games. Both are not new to the world of high-stakes dancing. Last year, Brian won first place in the Adult Latin American Level 3 with his dance partner Michelle Geale. Albert has won several awards, including ranking fifth overall at the World ProAm Championships in the US in 2007 with his dancing partner Arlene Howe, reported the online newspaper, the Filipino Australian. Lillian de los Reyes on stage. Marilyn Mendez gives the event a Hispanic touch. The small gathering at Sizzling Fillo today witnessed their dancing prowess first-hand when they performed a cha-cha number. Brian had his Marilyn Monro-esque look: platinum blonde wig matched with a short, figure-hugging silver dress that showed off his toned legs to full effect (see picture). Meanwhile Albert wore an equally figure hugging black ‘dancewear’ trousers and a black long-sleeved shirt left unbuttoned all the way to his waist (see picture). To entertain the audience (and the two gatecrashers who were pleasantly surprised by the entertainment that came with their lunch), RC also invited three very talented singers. First onstage was chanteuse Marilyn Mendez (she sings Bossanova songs in a way that can make you want to fall in love over and over again) followed by Albert Prias (who is another close friend and has worked with Albert and Brian in previous projects) and veteran songbird, Lillian de los Reyes (a consummate entertainer, it’s not just her voice but her charisma that keeps her audience wanting for more every time she performs). RC said the cocktail reception was just a send-off but family and friends who gathered wanted to help out so when Lillian sang ‘Big Spender’, everyone dug deep and gave $10, $20 and $50 notes to go towards their trip. Luckily, they have secured a sponsor to fund the airfares. The ‘bayanihan’ (heroism) that happened today will go a long way in covering some of their other expenses. At the end of their final dance performance, everyone gathered around to give them hugs and well-wishes. Gold medal or not, they are already winners to us, said Lillian. Gathering at Sizzling Fillo in Lidcombe on 25 July.